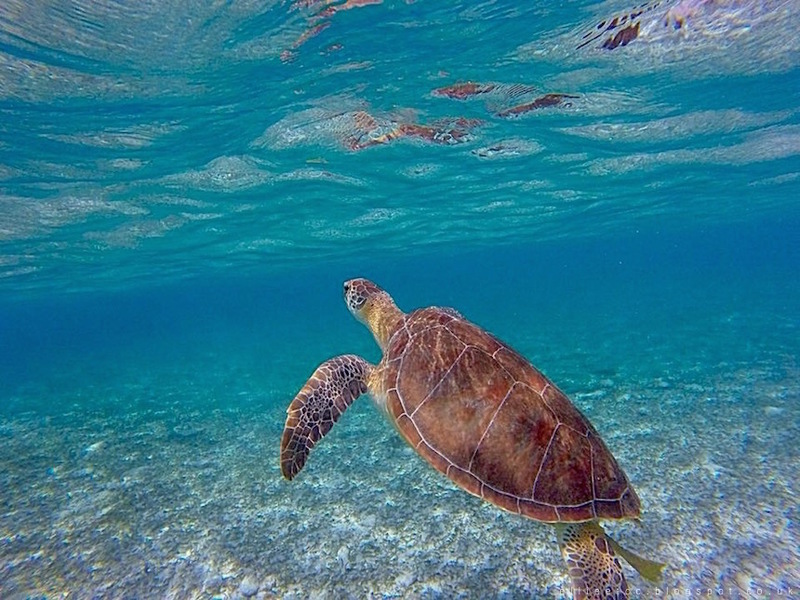 Snorkelling with turtles at Spotts Beach: This first photo looks edited, which it is, but I kid you not this is actually what it looked like snorkeling the photos just didn't do it justice. It will never fail to amaze me how incredibly clear the sea can be. Turtles are definitely a favourite animal of mine, and we even saw a baby one. Queue unbearably high-pitched SKWEEE sound. The sunsets: All pretty much the same, but all just as beautiful.. My poor iPhone quality photos don't nearly do them justice! Some of the food and drink: a.k.a. cocktails. Many many cocktails. We managed to get our hands on some disposible underwater cameras while we were there. I've not got mine developed yet. Shock horror. But if I do actually get round to it in the next century/they turn out well, I will share them with you in a sneaky 'Part III'. But then again, looking at the timings of the first two posts, you may be waiting a while.. My bad..
Have you been anywhere nice on holiday recently?